Pumpkin Brook Organic Gardening, Inc. provides organic land care services in northwest suburban Boston, including Lincoln, Concord, Carlisle, Groton, Harvard, Bolton, Stow, Acton, Lexington, and surrounding towns. Our primary service is skilled maintenance of existing gardens. We also provide design and installation services for residential properties and sustainable plant health care programs. Pumpkin Brook Organic Gardening, Inc. was founded in 2001. Its predecessor was a business called The Seedling Specialist which grew and sold heirloom plants from 1997-2001. Today this operation continues each spring with a new focus on custom growing plants for our clientele. 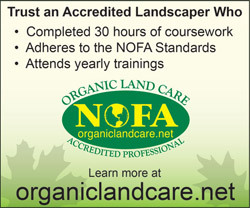 Offers continuing education for customers and staff within the ever evolving field of organic land care. Rachel Carson clearly understood the importance soil played in a healthy environment. The above quote, taken from her book, Silent Spring, remains as true today as it did when it was first published in 1962. Although soil is the most crucial ingredient to the success of any landscape or garden endeavor, the overall understanding of this medium beneath our feet still remains poorly understood. The use of pesticides, herbicides, and petrochemical fertilizers serves to marginalize the communities of soil microbes essential to proper functioning of a healthy soil foodweb. When gardens are maintained from an organic perspective, plantings become better established and over time they require less maintenance inputs such as water and fertilization. The organic approach also creates an environment that is healthier for the homeowner. As members of the Northeast Organic Farming Association, we have helped develop the Massachusetts and Connecticut organic standards for land care. The soil is the most crucial ingredient in successful gardening. Using pesticides, herbicides, and petrochemical fertilizers is damaging to the soil, and all the microbes and animals that live in it and on it. As members of the Northeast Organic Farming Association, we have helped develop the Massachusetts and Connecticut organic standards for land care. We employ a crew of gardeners who work almost exclusively with hand tools. 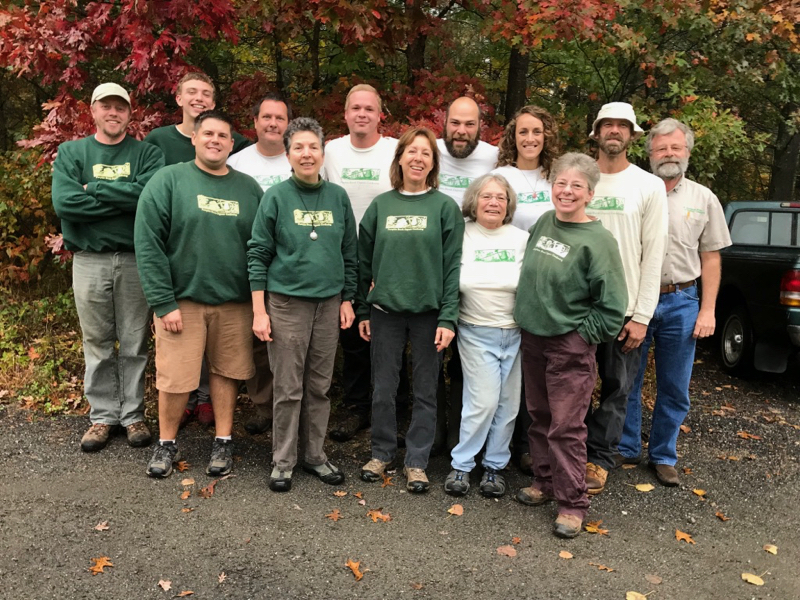 We conform to the Northeast Organic Farming Association’s Standards for Organic Land Care, as revised for 2016, and are proud to state that nine of our staff are Accredited Organic Land Care Professionals.